Wedding catering is personal - it represents you as a couple and it's very important to get right. We start by understanding you as a couple - are you a couple that loves a Sunday Roast or do you prefer Michelin star dining? Do you like a pizza and fish and chips and just desperately want to have an informal wedding that feels like you're hanging out with a group of your closest friends or do you adore champagne and oysters and want to feel part of the most glamorous event you've been to? Every wedding is different, just like every couple and the food says a lots about you. The perfect informal set up but great for true foodies as you don't have to limit your menu to just three dishes. 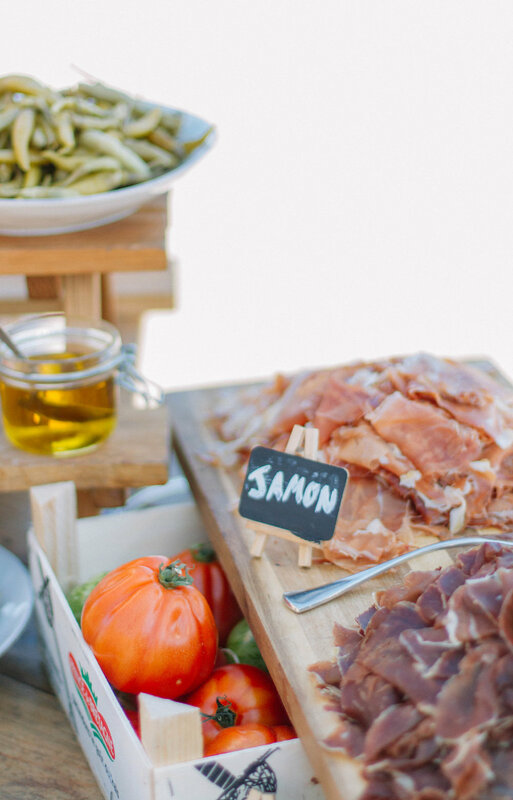 Choosing a feasting theme is a fun job and we've done everything from Rustic English through to Spanish Tapas. 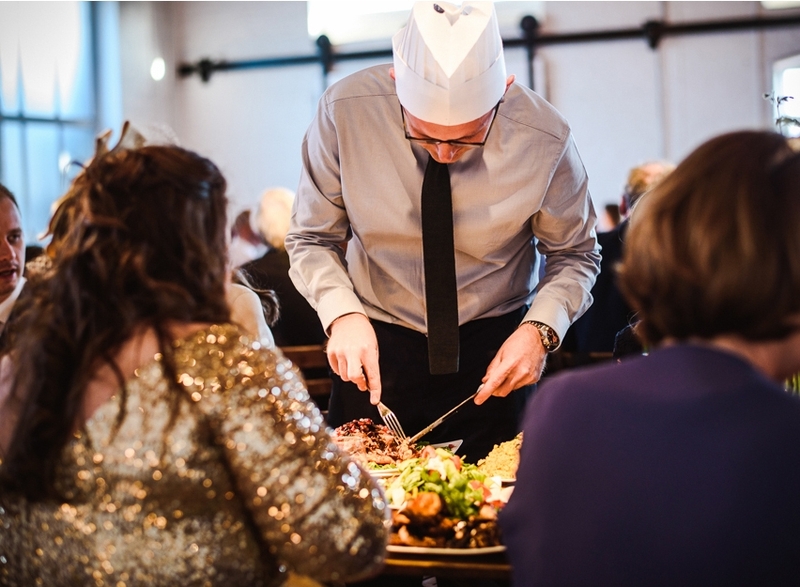 This option works well for those that want to add a touch of theatre to their day as it involves a guest from each table donning a chefs hat and apron and carving for everyone. Add in towering bowls of sides and extras and you'll have one of the best 'roast inspired' dishes you'll ever have. We often get asked for informal food stations where guests can take their pick of the food on offer. 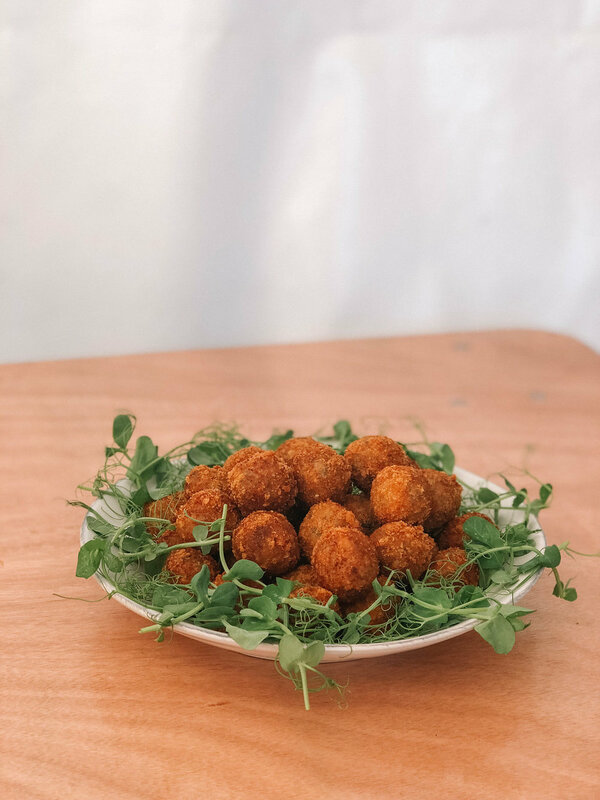 Seafood, Posh Burgers and Cheese & Charcuterie are very popular options and allow guests to try a little bit of everything in an informal way. Ever since we introduced the high end, grown up version of an unlimited ice cream stand, we've not looked back. Unlimited ice cream in a variety of flavours with toppings, sauces and extras galore. Served to your tabes or at a station, this is one of our most popular food options and we can understand why!